I was born on 3 March 1986, in a nominal Christian family in India. Since childhood, I went to the church and took part in all the spiritual programs. As I grew up, there was no one to guide me to lead a good moral life. Hence, I lived a life that pleased my heart. However, there was no peace and joy within. Once, a prayer meeting was organized in our village. I too went to attend the program. The words of the speaker began to speak to my heart to know the fact that I was leading a sinful life and was far from the presence of God. Realizing I was ignoring the Almighty Lord and His everlasting love, I confessed my sins and received Jesus as my personal Saviour. From then on, I completely gave my life into God’s hand to do His work alone. In the meantime, I met a pastor from a Gospel for Asia ministry who helped me to know the Lord more. Seeing my keen interest in spiritual activities, my church members encouraged me to seek God’s will in my life. As days went by, a desire grew in my heat to serve the Lord for the rest of my life. As I prayed to the Lord, I was confirmed of my calling to serve Him in His vineyard. 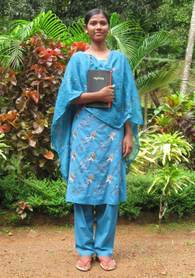 As I lacked knowledge in the Word, I enrolled in a Gospel for Asia Bible School. 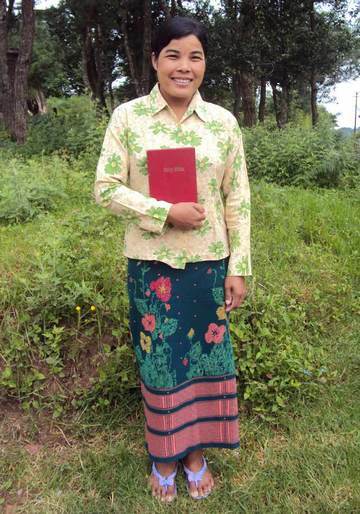 You can help support one missionary with a monthly donation of $40. 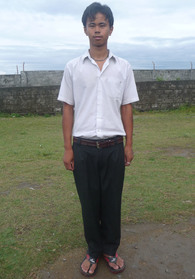 When you become a sponsor, your missionary’s picture and testimony will be sent to you promptly.